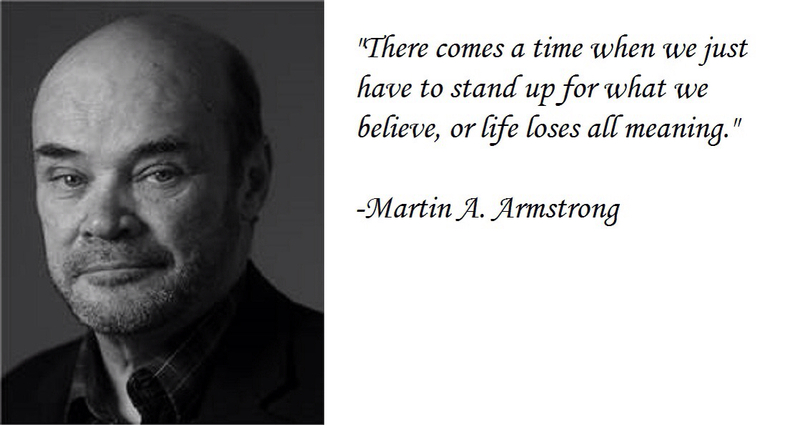 Martin Armstrong (The Forecaster) believes gold doesn't work as a hedge against inflation, but against governments. He is starting to see riots and unrest in many countries ("blood on the streets") as people aren't able to find decent jobs or financial stability. He believes governments are run by lawyers only concerned about being reelected, not by financial experts. Therefore, he foresees gold going up till 5000 USD/oz, not exactly because of inflation, but poor management of governments. It is clear for everyone that interest rates on bonds cannot continue to be so low forever (paying to buy bonds??? ), and that USA will have to eventually raise rates. That will create a collapse on emerging markets with debt in dollars. So two contradictiory effects will happen: dollar going down because of the bond bubble, and dollar going up because the rest of the world will see US as a safe haven compare it to their own countries. He is not very optimistic about Europe or European banks. He thinks there will be major bankrupts within the biggest financial institutions in Europe, including Germany.